I’m on vacation this week, which means I’ve been chillin’ like a villain (can we bring this back? ), but there have been a couple of occasions that I’ve had dress myself is something other than gym clothes. Now that Fall is really starting to feel itself and show it’s stripes, I’ve switched out the wardrobe (more on that later) and cozy sweaters are in full effect. 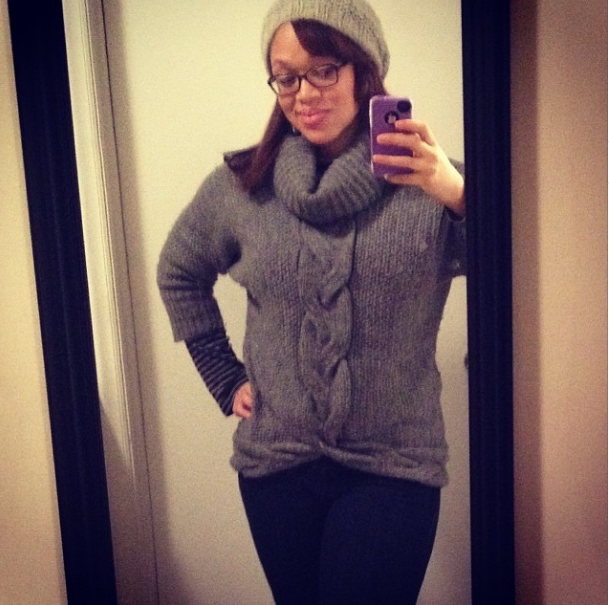 I love a chunky, cozy sweater. I live for them. I might not love cold weather but it gives me the excuse to wear to stuff from my cozy collection. On another note, in the Fall, clothes tend to get a little dark. Sometimes I just need to brighten up the day, thus mixing pastels with a soft heather grey. 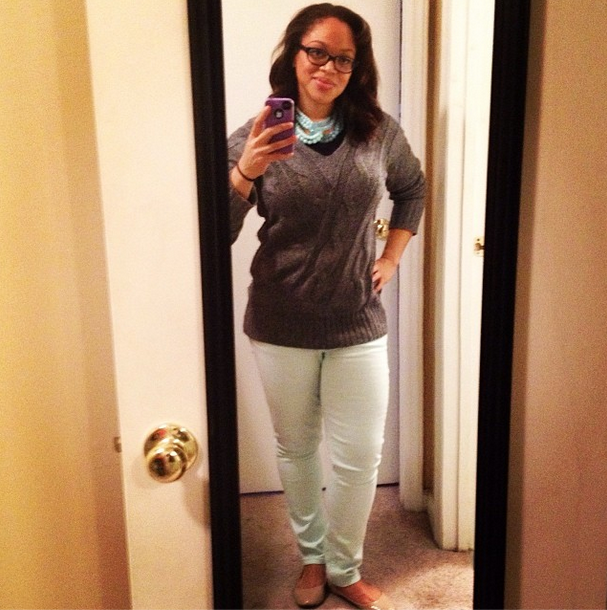 Pastels aren’t just for the spring, y’all! If you pair them up with the right neutral, you’re down right trendy. Any trends that make you feel extra lovely? Share and share a like, friends!